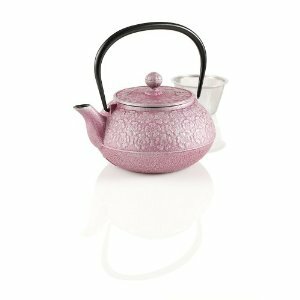 Handcrafted by 17 artisans in a three-month process, this teapot is undoubtedly top of the line. Its cherry blossom design symbolizes new beginnings, love, and beauty. And, despite it being small, it actually makes up to 21 ounces of tea and comes with a removable mesh strainer basket.